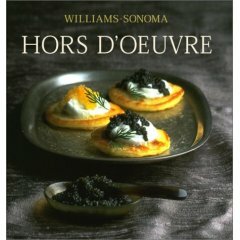 Williams-Sonoma Collection Hors d'Oeuvre offers over 40 delicious recipes, including both classic favorites and fresh new ideas. In these pages, you'll find finger food designed to suit any occasion—from a casual celebration with friends to a black-tie cocktail party. This vivid full-color recipe collection, appealing to both novice and experienced cooks, will become an essential addition to every kitchen bookshelf.